For those who do not have space for the Hybrid 15 package, this offers nearly the same performance. Incredible mids and highs from our new CCB-8s plus tight, tuneful, dynamic bass from the VTF-3 MK5 HP. "I was hearing dynamic shadings in my low-frequency test recordings which I had never noticed before. The VTF-3 tracked bass instruments with a clear robust tone and uncanny accuracy. " "The VTF-3 MK5 HP shows a quite formidable capacity to really deliver the band where the real power and force in music live. It does so with great transparency and no overhang or overtones I could detect. Micro and Macro Dynamics were outstanding. How a bass string was plucked or bowed was conveyed in great detail and the “slam factor” was considerable. The way this subwoofer was able to enhance a specific sense of the volume in a specific venue increased the soundstage’s size considerably in all directions. This bestowed greater drama to cavernous concert venues but served intimate ones quite nicely as well." "On track after track, the contribution of the VTF-3 only elevated the scale and force of each piece of music in an organic and holistic manner. Grooves became more entraining and percussion gained a scary realism with precise image localization. Decays were as fast or slow as the real thing, the original, and the music’s sustain in particular had a power and correctness I’ve not heard before. Transients could be felt sharply throughout my body occasionally startling both me and my cats." VTF-3 MK5 HP won the SECRETS Best Products of the Year for 2015 on "BEST SUBWOOFER UNDER $1000 AWARD"
"The performance of the Mk5 HP on subtle bass was at least as impressive as the performance during bigger bass moments." "It would reproduce these incredibly loud, sometimes tortured-sounding bass events without the slightest hint that it was working hard." "...not going to leave my theatre room." "someone with a relatively modest budget can possess a subwoofer so good that it's literally reference quality"
"They consistently produce some of the best sounding subwoofers on the planet and get them into consumers' hands at a fraction of what it costs to own a competing sub." "What do you get for $799 then? 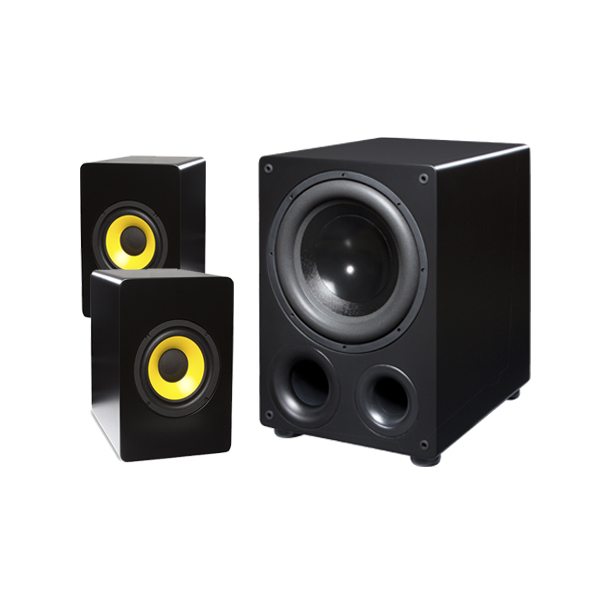 You get low-distortion deep bass that nearly rivals the performance qualities of just about any great subwoofer on the market. You get an extreme amount of flexibility to set up and tune the response to your room and your tastes. This sub can shake your room as well as any other 15" sub out there and it sounds really good in doing that. And don't forget that the VTF-3 MK5 HP is a very flexible unit - you can dial in the response for just about any system and it can be re-adjusted if you move rooms or add new components to the mix." 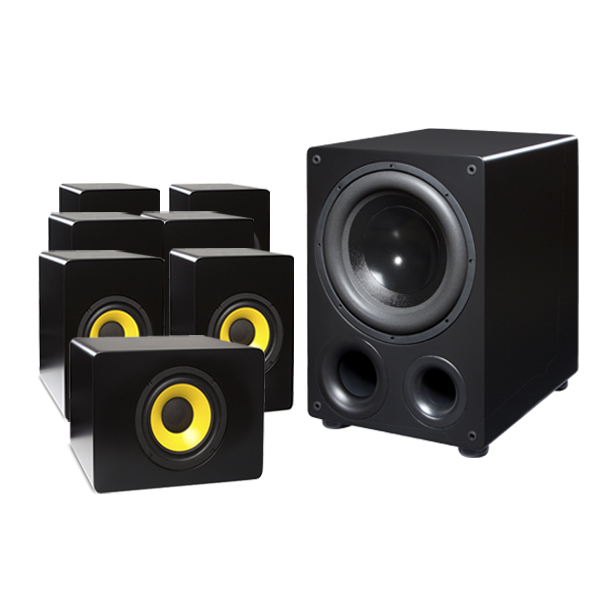 "The Hsu VTF-3 MK5 HP sub is recommended for any home cinema enthusiast who has a real-world budget and even those who could spend more but don't need to because the Hsu gives them everything they want." "On to the Best Real World Gears award, with 'Real World' meaning gear that's not only highly affordable but a legit performer. Without question, this award goes to the incredibly gracious folks at HSU Research." "After rerunning YPAO, I changed Dynamic Range to MAX and sub level from -2.5 db to 0 db on Yamaha AVR, and the results are incredible. I never heard/felt this kind of powerful distortion free bass in HT application. This sub is phenomenal and has lots of power!!!" "I have had the VTF-3 MK5 for about month now, watched Oz the Great and Powerful last night and WOW. I sit about 10 feet from the sub and during the Tornado scene in the beginning it made the couch vibrate. This sub is awesome, it just keeps impressing me." "It sounds absolutely amazing! I had no idea what I was missing all these years lol. Anyone who is currently sitting on the fence who can't decide, do it!"